Call the meeting to order – Meeting called to order at 4:04 pm. The board of directors approved the members of the golf committee for the 2011-2012 season. The following individuals were approved to be on the golf committee. Gayle Brice, Sharon Chumley, Kathy Dietz, Bonnie Johnson, Randy King Co-Chairman, Bob Lujan, Bob Manning, Kirk Sessions, Donna Thompson, Korry Wheeler, Gary Braun Co-Chairman. – A need to keep carts from cutting corners through grass on #13 and #11 was discussed. – The Kranenbergs have expressed interest in helping to maintain certain areas of the course. The possibility of an adopt-a-hole program was discussed. Since our last meeting the golf staff has been busy hosting our summer events. The member guest tournament went very well until a late thunderstorm sent us running for the barn. We had 96 players. The tournament was managed well and the tee prizes were a hit with the players. The Ladies Rhinestone Invitational also went well and the weather was good. 76 players competed and comments were very positive about the tournament, the golf course and the golf shop. We had Maverik group bring a group of 120 players. We had to rent an extra 24 carts and get members to donate their carts in order to supply all the carts needed. Renting the carts on a one day basis worked out to $56 per cart. This really ate into the profit of this group outing. Simplot will be here Saturday, August 20 with one hundred players. Another group of twenty four players will be playing Thursday, Friday and Saturday. Next week we have the Mixed Moose on Friday the 27th and Saturday the 28th and the Lincoln County Championship on Sunday the 28th. Mens match play has started and should be finished by early September. The Rally for a Cure will be held at Cedar Creek on Saturday, September 10th. Cash donations will be accepted as well as prizes donated for a silent auction. The event will be a two-person mixed scramble with 25% of combined handicap. Please come out and support this worthy cause. Teton Motors has agreed to sponsor a four person scramble on September 17th. This event is open to all players. Each player will receive a tee prize and the winners will receive gift certificates for shop merchandise. Any player that test drives a car will receive twenty percent off of golf merchandise. Offer valid until October 1st. I want to thank the ladies for their work on the barn and their donations of the chairs outside of the barn. I also want to thank George Toolson for his work on the tables. This is the best the old place has looked in a long time. We are proceeding with the cart paths on Cedar Creek #1 and #2 and on Aspen Hills #7. We are struggling against our budget. Because of the weather, low priced competition and fewer golfers golfing we are not meeting our goals for the season. We are supposed to start fall pricing after the Labor Day Holiday. Hopefully that will pick up rounds from the local crowd. i. Our rain policy will continue to be refined and will be part of an overhaul of our golf policies. i. During the winter, Kirk will work on this customer feedback tool. We have finally seen a true snapshot of the golf season and our pricing strategy. After the worst spring I can remember, the weather continues to cause us problems with afternoon thunderstorms throughout July. The mosquitos have come out in force and have been particularly bad in the evenings. Our revenue is down when compared to the same time last year, however July revenue is up and we are closing the gap between last year and this year. We are still struggling against our budget and need a good summer to pull us up. So far our rounds for the season have been 5774. 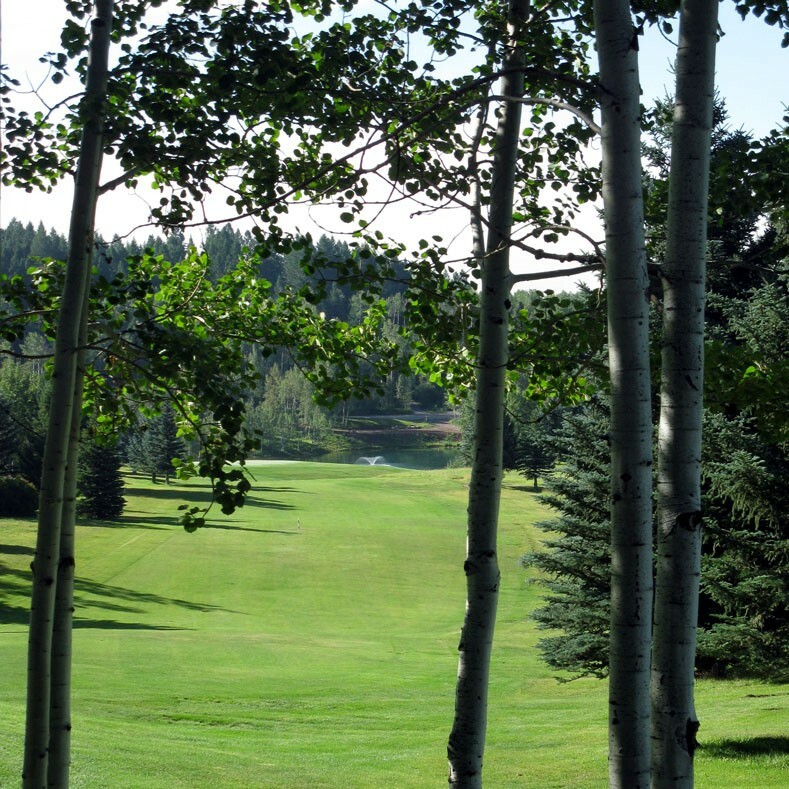 With 3,857 played at Cedar Creek and 1,917 played at Aspen Hills. 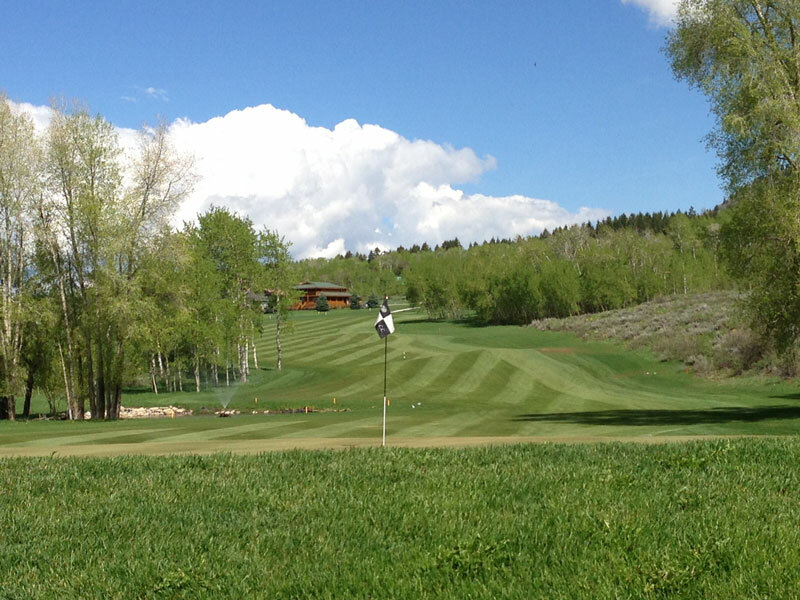 Our pricing at Aspen Hills is working well. Korry is managing the facility well and play is up. Korry, myself, Kurt and Kirk are doing everything possible to get Aspen Hills to break even. It is a very difficult task with the cost of maintenance and staffing. We are running ads in the papers to get rounds up and offering discount rates. At Cedar Creek we are running ads that allow players to get the $22 special rate before 2:00 pm if they bring in the coupon. The member guest * open invitational is going well. I ordered the tee prizes (bags) and also will give out golf balls and cart seat covers to make up the full price of the tee prize. I would like to change the wording of men’s and ladies days to be men’s and ladies groups or leagues. I believe that players still think of us as a country club with the course taken up during mens and ladies “days.” I would like to let everyone know that the course is open for public play during these events. Our men will travel to Soda Springs on July 18th. The Ryder Cup will be played July 20-23 with the event scheduled to be here on the 22nd. The ladies won the Mens and Ladies Challenge 15 ½ to 11 1/2 . The ladies Solheim Cup is being played this week. The Ladies Invitational is now named the Rhinestone Cowgirl Invitational and will be played on August 8th. The Mr and Mrs Tournament is now being called the Mixed Moose Tournament and the dates have been changed to August 26 & 27. It will not conflict with the board meeting. When these changes are made please remember to let me know as soon as possible. A little written notice helps me remember to tell my staff. Thank you to Bob Manning, George Toolson, Donna Thompson, and Gayle Brice for their help on these events. a- Complete the review and discussion of the 2011 golf calendar tournament events. The discussion centered around the events that were left to organize for the rest of the year. a- Member/Visitor suggestion form. It was discussed whether we have a system in place for customers to turn in suggestions. Some ideas of a system that would be effective was discussed. The General Manager and Golf Professional will develop a program that they feel is effective. b- Rain Out Policy Discussion. Our rain out policy was discussed. The policy will be revised and put into official policy form by the golf professionals. c- Handicap Fee – Dual Clubs Discussion. Gayle Brice reported that she had received a satisfactory explanation from the Utah and Wyoming golf associations regarding why those that have two residences must pay handicap fees in both states. d- Cart Trail Fee Verification. Randy King reported that our marshals are currently checking for trail fees on private carts. Adjourn: The meeting adjourned at 5:45 pm. 2- Discussion of 2011 and 2012 Golf Committee Members: Director Braun mentioned that the mens and ladies presidents are automatically on the golf committee and that there are some who from the past have filled those positions that we would like for them to be able to continue on the committee to lend their expertise. 3- Greens Committee Meeting Highlights: Highlights from the Greens committee were reviewed by Director Braun. 4- Approve Minutes: Gayle Brice Moved, Bob Lujan second, minutes were approved. 5- Golf Pro Report: Randy King gave the following report. – Rounds down in May. – ACTION ITEM- Bob Lujan and Gayle Brice to look at what bag to order. a- Review the effectiveness with the 2010 pilot project of “Prime Time Charging Practice.” (Record for future reference): This project did not work. a- Junior golf discussion for the 2011 season (tournaments, clinics, green fee charges). Tabled until next meeting. Adjourn: The meeting adjourned at 6:00 pm. Call meeting to order: Meeting was called to order at 2:05 pm. Those present were Kurt Richmond Co-Chair, Bob Lujan Co-Chair, Kirk Sessions General Manager, Gary Braun Director, George Toolson Director, Gayland Archibald, Kathleen McKinley, Jim Chumley, Korry Wheeler. – Good shape, will be fertilizing in the coming weeks and starting my foliar program. – Starting to fill in, need topdressed heavy to level tee surface. – Starting to fill in, still a little patchy, stripes starting to look great. – New Toro mower working great. We are able to mow 9 holes a day versus 4 or 5 with John Deere. – Will be incorporated in the coming weeks. – AH- Has a lateral line that was crushed from moving trees out of tree farm. – AH- #8 tee- All irrigation is working and ready for sod. – CC #1- 2 head blew out of ground has been replaced and needs to be filled in. – CC #2- 1 head by senior tee blew out of ground needs to be replaced. – CC #7,8,9- I have no power to the satellites. Have to find wire that is making breaker fault. – CC #18- Snowmobile hit satellite this winter. Waiting on a new satellite. Unable to water first part of #18. – CC #13 Roadside- Fixed electrical break caused by LVE. – Cedar Creek Well- Tried to power on, nothing happens. – Cedar Creek- Star Peaks is running fine down through 17 pond on Cedar Creek. Cedar Creek #9 diversion dam is starting to see a build up of gravel in front of dam. – #17 Pond was dredged, material will be removed when piles dry out. – #18 Pond saw vole damage to liner. We cannot get water to the level where it was last year. – Cedar Creek Park needs the irrigation finished. Use of Volunteers- The use of volunteers to help with projects around the golf course was discussed. The liability involved in having individuals not covered under Star Valley Ranch Association’s insurance policy was discussed. ACTION ITEM- Kirk Sessions is to contact the insurance company to find the cost of insuring volunteers. Grass Seed / Scott Johnson- OPEN ACTION ITEM- Scott Johnson is to get information on obtaining fescue seed along with seed mixes. Possibility of Bentonite-like product from Simplot. ACTION ITEM- Gayland Archibald to contact Simplot. We need a big tree spade to use for tree removal. ACTION ITEM- Kirk Sessions to call Horse Barn near Alpine and ask about using the big tree spade. Some of the new trees that were planted last fall are having issues. ACTION ITEM- Kurt Richmond to try sulfur on the trees. Appointment of New Committee members: Bob Lujan has accepted position as Mens club president so he will step down as co-chair. We are supposed to look for new members to take his place. –ACTION ITEM- Kirk will look about exactly who needs to be in charge of marking the course and what options we have for red stakes. Meeting adjourned at 3:57 pm. The meeting was called to order at 2:00 pm. Those in attendance were: Kathleen McKinley, Mike Blackman, Scott Johnson, Robie Robinson, Kirk Sessions, Kurt Richmond, Bob Lujan, Randy King, Jim Chumley, Vern Madsen, George Toolson, Korry Wheeler and Gary Braun. Course to be opened based on weather conditions. Review last year’s open Greens Committee actions and discuss 2011 goals and projects. See list below..
Open to suggestions-poison, juicy fruit gum, versa vac, other products? We are done leasing. Purchase of new Toro equipment complete. Next winter I will be putting a repurchase program on a 12 year rotation. Example; greens mowers will be sold and 3 more will be purchased at the end of 5 years, fairway mowers will be sold and 2 more will be purchased at the end of 7 years workmans will be sold and 2 more will be purchased at the end of 10 years. This program will be set up for every piece of equipment in the shop, so when the Association goes to purchase there will be a minimal amount of money going out to keep up with technology. Jazz is my lead person on beautification. Jazz is working on a schedule for volunteers this will be addressed once course is open. I have no reservations on saying the Toro equipment purchase of 2011 is a perfect fit for the condition at SVRA. PRV Pressure Reducing valves ongoing maintenance and replacement of parts that were striped or never installed. Have a lock box in the shop, keys stay in equipment, spares go in lock box. Each piece of new equipment has a training DVD each person must watch DVD before operation; I will be doing additional training out on the course. Employees have to sign off on completion of training on each piece of equipment. Still working on spread sheet. Inventory of chemicals is not done, but all chemicals that are for golf course use are in one location in the shop. Containment vessel for storage of chemical? Gas and Diesel Pump controls, backshifts? Cedar Creek Cart Barn- This was a major project this winter. All trash was removed from barn 3 dumpsters and 1 load to the dump, all of Ernies facilities parts and pieces were brought to his shop, new shelves were built to facilitate organization, new charger holders were constructed to hold the new EZ-Go chargers. CC cart barn will supply all EZ-GO carts. CC cart barn will also be storage for some of the golf course maintenance equipment. The new irrigation room inside the CC cart barn was reconstructed to facilitate irrigation storage, common area and beautification storage and golf course accessory storage. Still needs some work, will make a nice space when finished. Aspen Hills Cart Barn was cleaned of all trash floors power washed and concrete seal. New charger holders were constructed for new EZ-GO carts and old charger holders were moved for the remaining Yahama’s we currently lease. Electrical issues have been addressed and are in good working order. New sand box was constructed and is ready to be put to use. The only thing I need to do is put handles on the doors. Greens came thru winter in excellent condition, at any given time we had 5 to 6 feet of snow on the greens. Black sand was applied at 150 to 200 lbs of sand per green starting in March. End of April the greens started to show and an application of Fungicide IX was applied to prevent pink snow mold thru the wet spring. Vole damage was about the same as last year, but the cleanup has already begun with our new Versa Vac. This machine verticuts, sweeps and vacuum all in one pass with one operator. Greens have been mowed 3 times and collars might have a different look on some greens. I have incorporated a double collar on some of the greens that have extreme slopes #13 for example to help hold the ball closer to the green. – Options of a possible new location for the tee box at the driving range was discussed. A new location would give us more distance which would eliminate many of the golf balls that would now threaten houses along the range. – This item has been tables until further information can be obtained. A bentonite vein was found near Bedford. We are looking toward the possibility of using it in our golf course water projects. They are currently digging out the pond near #17 tee box in preparation for high runoff. Scott Johnson is currently pursuing a deal that would hopefully produce grass seed for the Ranch. The mix that is desired is 75% rye and 25% blue grass. Assistance Need s/Work Groups Mens Group President and Greens superintendent will meet and discuss future projects. Meeting was adjourned at 3:45 pm.